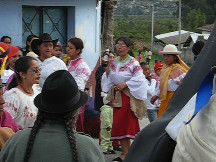 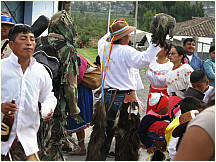 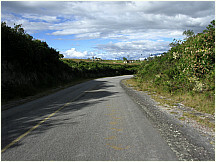 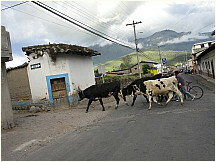 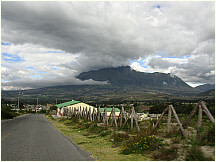 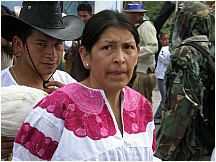 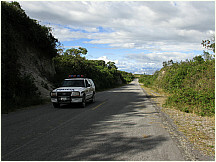 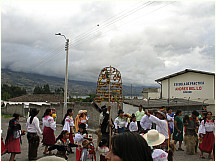 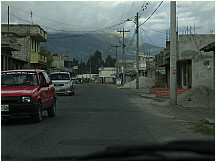 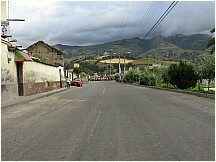 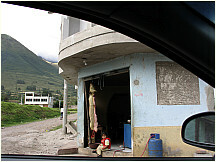 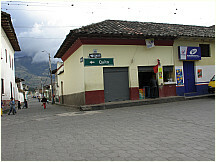 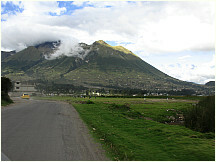 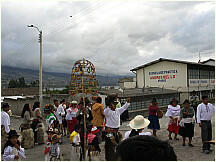 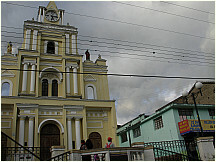 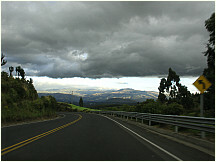 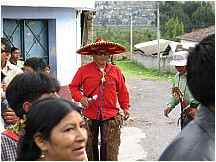 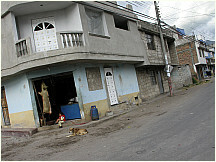 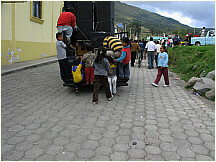 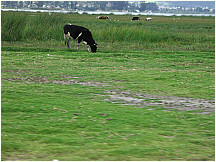 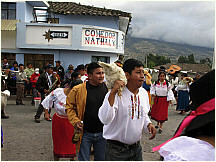 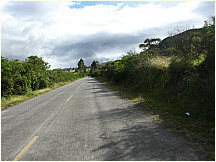 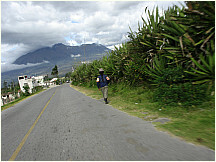 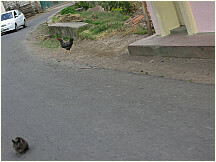 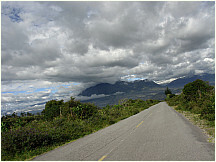 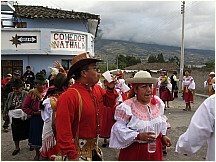 Laguna San Pablo, Ecuador, is located a short distance from the major market town of Otavalo. 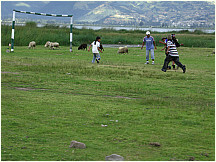 The Lake of San Pablo is large enough for boating and the community that surrounds it is a vibrant place, as is shown in these photos. 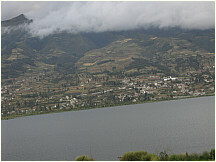 It is a tourist destination because of the lake and surrounding mountains. 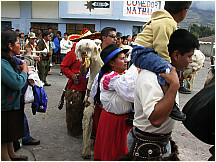 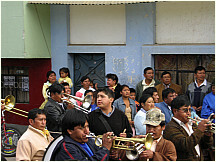 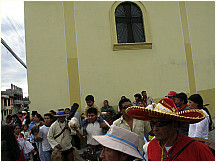 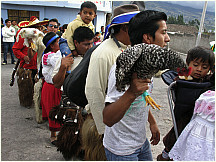 End of the parade of villagers celebrating a chicken festival in Laguna San Pablo, Ecuador, with kids trying to jump on the moving sound amplifier truck.